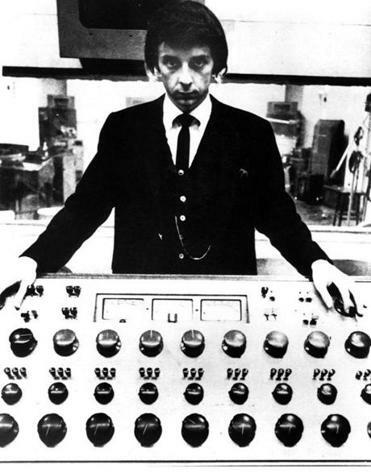 Phil Spector in the early 1960s. On Jan. 24, ALLISON — mezzo-soprano Allison Messier and harpsichordist Paul Cienniwa — performs at Quincy’s Thomas Crane Public Library. The duo’s raison d’être, re-interpreting rock and popular repertoire with Baroque sensibility, puts an old spin on newer music, but also a new spin on a less-old but rich tradition: pop music borrowing classical trappings. The harpsichord’s pop history, in particular, is a diverting tangle of aesthetics, opportunity, and technology. It spawned its own intricate, wistful genre: Baroque pop. The style’s quintessence, The Left Banke’s “Walk Away Renée,” was anchored by Michael Brown’s elegantly jangling harpsichord. Across the Atlantic, it bridged the passage from rock into psychedelica for numerous groups: the Beatles, the Rolling Stones, the Zombies, the Kinks. ALLISON performs Jan. 24 at 3 p.m. at the Thomas Crane Public Library, 40 Washington St., Quincy. Free admission; 617-376-1316.